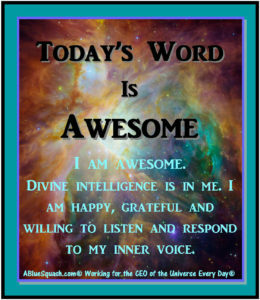 Awesome is my A#1, all time favorite, go-to word. Like a chef reaching for her/his favorite knife, this is the word I could use all day long 365 days a year. It always made people smile. And that made me feel even better. I am in awe every time I look at and think about the sun, moon, stars and planets that are perfectly aligned without a single human at the controls. I am in awe every time I look at and think about the animals, birds, plants and trees living and multiplying and able to thrive even if no human existed. What an awe-inspiring divine intelligence that runs through everything! Including me. And you. And every other human. When I recognized and owned my awesomeness, I was able to gladly recognize and see the awesomeness in other people. And that made my life better. 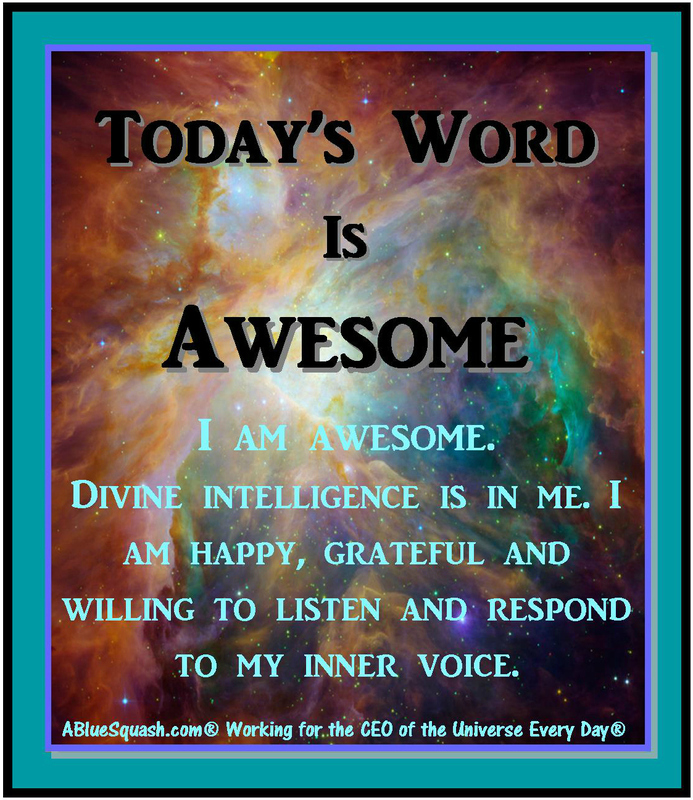 Repeat the affirmation “I am awesome. Divine intelligence is in me. I am happy, grateful and willing to listen and respond to my inner voice” in the morning, at night before sleeping, and as often as you can during the day. Write down how your subconscious answers. It may tell you what is blocking you and what needs addressed or it may give you a one million dollar idea. I always balance everything against the Fruit of the Spirit found at Galatians 5:22, 23 (KJV) Will my actions result in Love, Joy, Peace, Long-suffering, Gentleness, Goodness, Faith, Meekness, and Temperance?